Bees do it. Birds do it. Even humans do it. One by one they gather in big groups - and think and act as one. This is what we call “herd mentality”. Like most animals on the planet, we humans come pre-programmed to notice the behavior of our species and copy it. Those who follow the behavior of a group or a crowd lose a part of their personality. If you disagree, just think about it for a second. How many times have you walked out of a building and noticed everyone staring into the sky? For whatever reason, did you feel the need to stand there and stare like everyone else? If only for a few seconds, you felt that you needed to follow along. Right? Why wouldn’t you? You’re human you want to see what’s going on like everyone else. Fear: It makes animals (and humans) run in herds. It can also cause otherwise thoughtful people to stop thinking for themselves and follow the crowd. When fear sets in, we have little choice but to behave like animals, using a different part of the brain - what some scientists have called the "mammalian brain." 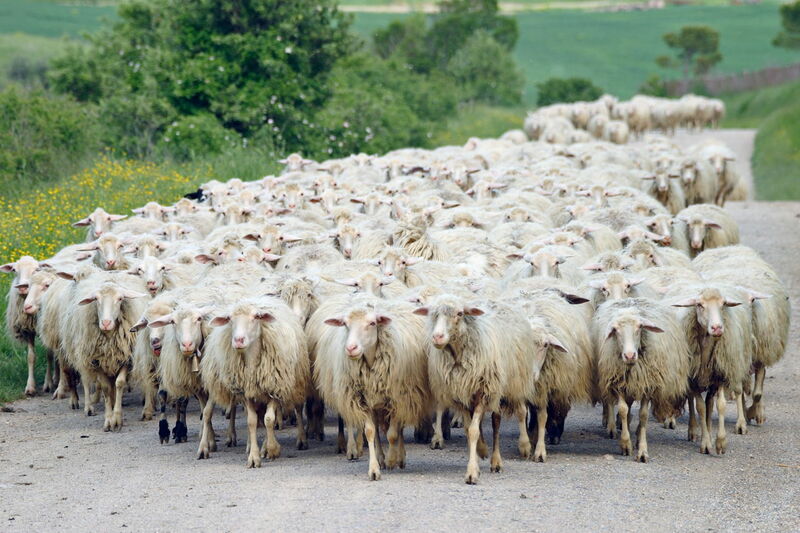 This is because herding behavior is a result of not being in the know in any given situation. If you don’t know what’s going on, you begin to rely upon those around you who do. After all, there has to be someone out there who does, so why not follow along with him or her? If they screw up, then you can say it was their dumb idea and you’re not the only sucker who got fooled. Once again, you’re anxiety free since you’re back within the safety of the group a second time. So it’s fairly commonplace to witness the old adage “there is safety in numbers” rule. When we follow the herd we feel safer inside the group. However, this can lead to huge, collective blunders. And when the herd becomes emotional and extreme it can lead to hysterical behavior. So, why do we stay in the herd? We don’t want to feel alone or to avoid the anguish of the uncertainties we face today. Internal - To become stronger through change (businesses that are flawed and outdated will need to change or they’ll experience an acceleration in their own demise). Also what can you do to keep you from experiencing the pain the next time we go through a recession? What have you learned? How can you be more proactive? External - To exploit the weaknesses of your traditional market leaders. Often times these become the leaders of the herd and everyone follows them. Yet, they are also the ones that have the most difficulty adapting to change. THE ONLY LIMITATION YOU HAVE IS HUMAN NATURE.